Today’s Song Of The Day is dedicated to “Themis Adamantidis”. The song I have chosen to feature today is a fairly recent song which was released back in 2013, “Στην καρδιά”. This is such an amazing song, which I can literally listen to on repeat. The lyrics are perfect and the dynamics of the music does it justice. It almost feels like a new version of Gia Sena, a huge hit by Themis, which was released by him back in 1982. The song I have chosen for today is “Itane Mia Fora”. Here is a live version of this classic tune……. Nikos Xilouris sings Itane mia fora, a Greek song which translates to “Once upon a time” in English. Itane mia fora is a very popular song, probably the most characteristic song by Nikos Xilouris, who has marked it with his voice. Although the song has been sung by other singers and performers throughout time, it never compares. 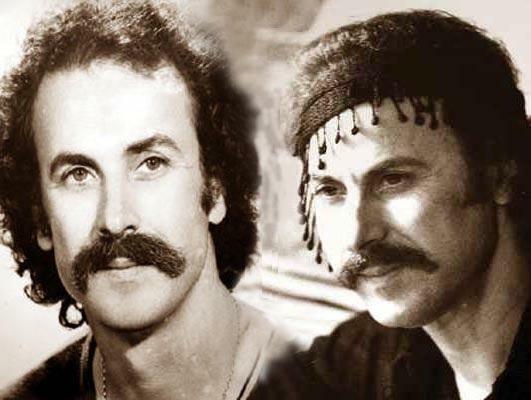 The song Itane mia fora was heard for the first time in 1973, at a TV show – adaptation of the novel “Emporoi ton ethnon” which means “Merchants of Nations”, made by Kostas Ferris. The story behind the song is quite interesting: Xilouris had no idea about the song and he was brought to the studio to sing it without any rehearsals or second recording. The first recording was the one that is known and played till today. It is said that Nikos Xilouris noticed later that he made a couple of mistakes when singing and asked the composer Stavros Xarhakos to sing it again, but he denied, saying “the way you sung it the first time cannot be repeated! It stays as it is!”. Xarhakos was obviously right, since it is one of the marking songs of Greek music, the trademark of Nikos Xilouris himself.